The transhumanism movement has been garnering attention lately for a variety of views including embracing aspects of heritable human genetic modification. Earlier this year I interviewed geneticist and transhumanist, George Church. 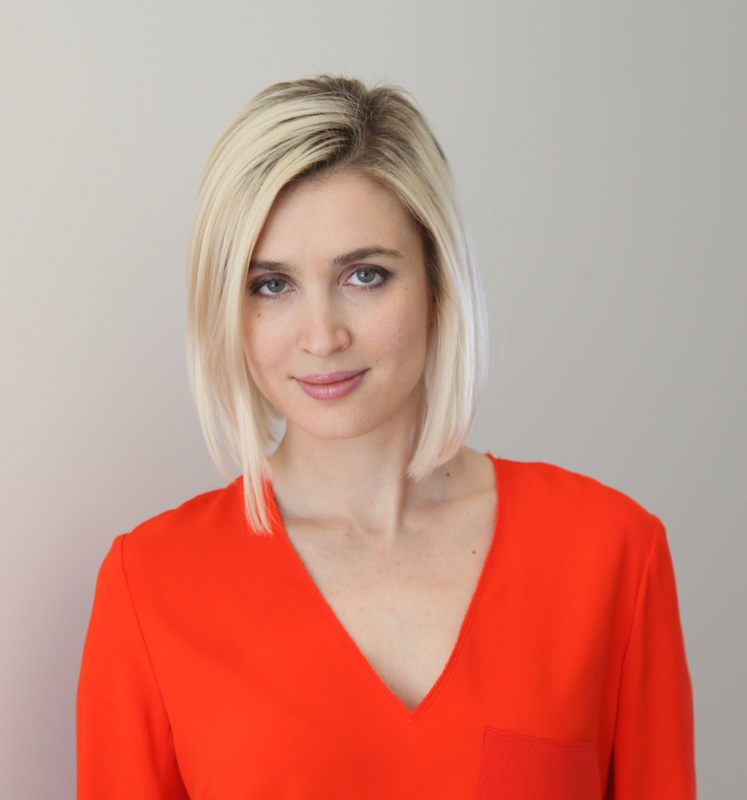 In this post I interview molecular biophysicist and transhumanist Maria Konovalenko. She is the program coordinator at the Science for Life Extension Foundation. In addition she has a blog. Paul: Where does transhumanism stand today? Is it a growing movement? Who would you say are the top leaders in the movement? Konovalenko: If we separate transhumanism from scientific advances, then I don’t think I see any significant chances recently. Although, Zoltan Istvan’s work makes an amazing impression. Zoltan managed to get the most media attention transhumanism has ever seen by declaring his candidacy for the President of the US. He has enormous potential. I also don’t see powerful resources on the topic on the internet. It’s as if transhumanism is spread all over all media that write about the future. I’ve recently done an AMA on Reddit and I was quite frankly surprised how well the audience knew the topic. Speaking of the people who could be most useful – that’d be the young billionaires of the Silicon Valley, but they are only mentioning living forever. No one has yet stepped forward and said: «We will do this and that in particular to reach the goal». Transhumanism hasn’t yet found neither its unique way to enroll new members, nor the intellectual core of the movement. That’s why my answer is no, it’s not a growing movement. Let’s call a leader somebody who is capable of bringing 5000 people in the streets or to crowdfund a project. So far there is no such person in transhumanism. Paul: Is anti-aging just one element or strategy of transhumanism? Konovalenko: First of all, anti-aging is a discredited term. Too many frauds used it. We are talking about reaching radical life extension and physical immortality. Of course it is part of transhumanism, in fact it’s the most important part. Our first goal is to stay alive. The second one is to improve ourselves and expand our capabilities. That’s pretty much it. That’s basically all what transhumanism is about. Paul: I’m a stem cell and genomics researcher myself. Do you think stem cell technology and regenerative medicine have a role in transhumanism and anti-aging? Konovalenko: Regenerative medicine is an important part of human longevity research. Therefore it is part of transhumanism. I actually am also studying stem cells, putting a review together on the role of mTOR signaling during aging of stem cells. I think therapeutic cloning and genetically modified stem cell therapy have a lot of potential. Paul: What’s your view of other self-editing and more specifically gene editing technology’s use in humans, such as CRISPR-Cas9, as a means of making a positive difference? Would you say this is likely reflective of the transhumanist view of human gene editing more generally? Konovalenko:I am for using any kind of safe technology on humans as a means of making a positive difference. Of course, it is crucial to adjust CRISPR-Cas9 for medical use. Generally, the point of view of transhumanism on gene editing is the following: let’s do it every time when it can be useful for us. I should add that there is a myriad of CRISPR-Cas9 and applications. For example, we could create new biological systems in deserts, using genetically modified organisms we can reach incredible biodiversity. We could grow whole cities. We will certainly terraform Mars using GMOs. The most unbelievable fact is that we can actually start implementing this task right away. Paul: Some people like to draw a dividing line between human gene editing in adults (e.g. gene therapy) and germline human gene therapy that is heritable such as correction of a genetic disease in a 1-cell embryo that could grow up to be a healthier person. Do you advocate for both of these kinds of approaches and think that line is unnecessary? Konovalenko: Yes, I advocate for all interventions that improve human well-being. Is it actually inaction, not providing the help when it is possible, these are the things that I consider unethical and criminal. 6. What about using gene editing to make improvements on the human condition? These would not necessarily be for preventing disease, but rather for conferring “better” traits? A great idea. Aren’t we constantly trying to improve ourselves with education and physical exercise? It is also an attempt to impact gene expression. It would be great is we could do this directly. You add a gene and boom!, you have an increased motivation towards learning. I would love that. Paul: Is there a difference between transhumanism and genetic self-editing versus say the Eugenics of the past? Konovalenko: I don’t quite understand what you mean by “Eugenics of the past”. If this is in any way related to eliminating people, then transhumanism is on the opposite pole. If we are talking about improving human condition of those alive today, then yes, it’s transhumanism. We are saying: “Let’s look for more effective ways of improvements”. Paul: What are you most excited about in science today in terms of specific projects and technologies that can aid transhumanism? Konovalenko: All advances of the human mind, breakthroughs in biology, chemistry, and physics inspire us. Although, in the first place the tasks of transhumanism lie in the area of social changes, in the area of politics. I am dreaming of seeing 2,000 people who came in the street to protect their right to live with a demand to increase funding the experiments in longevity. That’s when we can count on acceleration. Paul: Anything else you’d like to add? Konovalenko: Generally speaking, scientific progress in the area of aging research is moving forward quite successfully. I have a feeling that in 10 years we will have the first drugs that extend longevity. However, we have problems of a different kind now. The threat of the 3rd world war is staring us in the face. At any moment Putin, who is an autocratic leader who seems to have lost his mind, can press the nuclear button. We have to be able to create the technologies that can neutralize weapons leading to the death of the civilization and we have to do this in time. Interesting way to finish the interview. Not that I agree with her. Just saying that if there is a world war there’s no point on trying to extend people lives when they are already killing themselves. @Natassia, Yes, I was surprised too and interested by that last comment from Maria. More broadly, I think transhumanists want humanity to survive even in the case of an apocalypse and one way is through getting some humans off the planet. Another is through making cyborgs. Still another is through genetic enhancement of humans to resist radiation, etc. Just my opinion, of course, but mankind is not at all ready for physical immortality. Mankind, though very clever, is not yet wise enough to handle it. One of the things which makes our lives so very precious is that they are finite, and everything falls into context within that framework. Even with finite lifespans, which one would think would give some meaning to the world, our species treats our planet like a giant dumping ground. We also tend to treat each other quite badly. I do not feel, personally, that mankind has matured much in the past several hundred years, and we still, as a collective, tend to behave in a quite irrational, illogical, immature fashion. Physical immortality is something that would have differing impacts on different people, of course, but is this really the route we should want to take? Would one EVER retire, for example? Wouldn’t one become somewhat bored with watching the world endlessly repeat itself? Also, wouldn’t things like “I will love you forever” be strained by physical immortality? Also, this planet would become overcrowded VERY quickly should physical immortality become attainable. Resources could not at all sustain us as a species even if we were to extend average human lives by only 100 years, and one has to envision, too, a world where the rich can live as long as they wish while those in poverty would still endure normal human lifespans, and this would take the “haves and have nots” arguments into new realms. The greatest “improvements” I can envision for mankind involve us becoming a kinder, gentler, more wise species that learns to live with each other and with our environment. Making more of the time we have is preferable to simply having more time. @Mike, I definitely see your points. I wonder what the consequences would be from non-radical life extension such as the average human being living “just” 20 extra years? One might say that we as a society should be focusing more on quality of life too rather than quantity. So, Maria thinks that we will use GMOs to terraform Mars and and we can start the task right away… Pray tell me how? Show me that magic GMO. Meanwhile, back here on Earth we have more unknown micro-organisms in a bucket of soil than we have known micro-organisms. Further, we haven’t even figured out how to grow most of them in a lab culture — let alone all their interactions within the ecosystem. This is another example of molecular biologists puffing themselves up as though they are masters of the universe but being out of touch with ecology and evolution. Achieving immortality would have many “interesting” consequences. Transhumanists might actually like to think on the matter a little while. I’m with Sean Connery (Zed in the 1974 movie Zardoz) when it comes to straightening out the immortals. @Brian, I wonder if immortals would get super bored (or depressed from watching everyone they care about die) or alternatively find all that time helpful in solving really big problems. To me it does seem sad that every time someone dies that a good chunk of their knowledge and wisdom is lost. @Brian, I think she is referring to this article recently released. that every physicist must fear. when once he is past his thirtieth year. Perhaps it would be interesting to see what would become of us if we restored the missing genes? Do you think that that might be technically feasible? @Brian Sanderson, this paper that you showed us is incredible. I didn’t even know that there was this kind of journal. Certainly this is very interesting to investigate. I agree. If one visits a retirement home, one sees the consequences of the fact that many already live to 75-80 or even more. Many of these people, very sadly, become forgotten by the world around them. I shudder to think what living to, say, 100, would create in terms of real world effects. If life extension means 20-30 more years of being in a retirement home, how is that desirable? If life extension means 20-30 more years of busting your back in the workplace, how many would jump at that chance? I’m guessing not too many. How would one plan and set aside for a retirement that would last 40-50 (or more) years? Simply put, the way we currently live in today’s world, substantial life extension creates a multitude of problems. Colonization of Mars once we’ve overrun THIS planet?! Come on! GROW cities?! Where? If we are this intelligent and worthy of being immortals, why don’t we apply ourselves to solving homelessness or starvation? Of course, these are all simply my own opinions. Given the hugely increased productivity due to scientific and technological advances over the last 200 years, how come we still have poverty, the working poor, and many shackled with miserable working hours/conditions all over the world? Of course many people have figured out the answer. Paul Colinvaux answered it best back in 1980 “Fates of Nations: a biological theory for history”. , Buck Institute, Dr. Harold Katcher, Wyss-Coray w/ Alkahest, Dr. George Church, etc.) ultimately wants people to return to a youthful state. Meaning, a person might be 180, but biologically to be 18. I do not expect that authorities once they see that reverse aging is working, to continue the retirement program as is. And in fact if you are 18 and healthy, there is no reason not to work and enjoy life. For me it’s no brainer, that if I have the possibility to be young again, I’ll be working a lot. On the other hand, the possibility to live a very long and healthy life, most likely will slow down birth rates to probably unexpected levels, and that might result in a stabilization of Earth’s population (as I do not want to be negative to say, that actually that will lead to negative growth, which might result due to conflicts). Not to say that if the majority of people will be young and healthy, the productivity will increase. Anyway, the main idea is to rejuvenate humans to a youthful state and allow us to live in that status for very long time. There is a confusion around, as people once they hear about “life extension”, they immediately think that you will live many more years as an old frail person. Not at all, these research groups are aiming at reset the clock to a youthful state. Using the below technology of adult gene therapy we can alter any gene in an adult, augmenting the person’s genes without changing their children and potentially polluting the human genome going forward. We need morphological freedom! “A gene therapy treatment is already in advanced clinical trials at Stanford University. In January 2015, it was discovered that the treatment reversed the biological age of 60-year-old human skin and muscle cells by 25 years. After just a “few days of treatment,” the cells became indistinguishable from those of a 35-year-old. I don’t see anything wrong with pursuing longevity as long as it is paired to efforts at improving health and quality of life. Maria, please read the book The Transhumanist Reader. Your comments do a disservice to you rather than the transhumanist who you are aiming to disregard. Rather than to assume your agenda is, I’ll kindly ask that be careful when you make sweeping statements about people in the life extension community because it is both unkind and untrue. The intellectual core of transhumanism has been clearly addressed, since its inception, as Dr. Max More, Dr. Nick Bostrom, myself, and many, many others are carefully considered and philosophically grounded in the scope of the worldview, from its core tenets to its wider scientific, technological, and ethical acuity. The large growth of transhumanists throughout the world cannot be certain, but it is indeed evidenced in the number of courses taught, references in books, articles, documentaries and televised programs, not to mention media articles. Is it larger than the postmodernist movement, yes; although, the coursework has not yet reached the academic standing of the postmodernist agenda largely due to the rigidity of academic scholars who are vested in postmodernism. However, in scanning the general public, transhumanists far outweigh other social (positive) future-oriented movements in growth, population, and core values. @Paul, I agree, longevity and quality of life are, broadly speaking, worthy goals. It bothers me when the longevity part becomes over-hyped and the quality of life part is not rigorously defined and comprehensively thought through. It seems to me that everything about life involves some sort of a compromise. Optimizing for one thing usually means compromising something else. (Multi-variable calculus tells us that optimization always means compromise unless the variables are independent.) For example, it might seem like a good idea fix our uricase mutation… On the other hand, there is a patchwork of data and theory that suggests that the uricase mutation may have been important for human brain function/evolution. Who knows? I don’t. At the most fundamental level, our difficulty arises because evolution adapts existing parts — so no parts of the system are truly independent. Multi-variable calculus tells us that transhumanists will have the same problem as politicians and economists, there is no optimization that is not ultimately pinned to a subjective ideology. Interesting interview, and got a lot inspiration from the interview.